- Dr. Richard Kradin, MD, Jungian & Freudian analyst, “Imagination and Medicine”- Lecture Series. Weeks of summer have passed in a year with no time for vacation. Perhaps this has happened to you, the months plod forward and you’re working, hard immersed in day to day matters, thoroughly wrapped up in meeting your goals. Then a morning of unexplainable aggravation arrives, and you recognize you’ve neglected creating time for freedom. The claustrophobic voice of stress has a chorus of complexes backing it up: anxiety, neurosis, obsessive compulsive, and dissociative characters fill the mental stage. Clarity is fleeting, thought fog prevails, along with a fetishistic anger moving around like a lightening net, as if seeking some kind of prey. This is the work expressed in the arts; whether it’s the figure Michelangelo finds revealed in each stone, or Picasso inhabiting the Minotaur as archetypal experience. 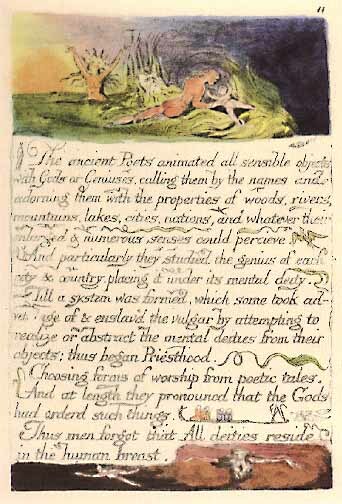 Playful awakening to the attachments that form as we connect to the tale of things births these personal gods of which Blake speaks when he notes that the gods are a relational experience, and one that is felt in the chest. Jung’s understanding that the creative voice of the unconscious is essential to our discovery of ourselves as whole individuals is part of the impetus behind playful therapeutic processes like mandala construction and sand play. Though we may think of these as methods used solely with children, they are tools allowing seekers of any age to engage the kind of free awareness that informs awe, fosters feelings of renewal, and promotes our ability to place the ghosts that inhabit our complexes into their own life, as opposed to denying them. This capacity to enrich life with creative meaning, even in cases of serious mental illness, is what Dr. Kradin illuminates by suggesting that playful engagement- a joie de vivre- restores us to an ability to lithely witness our own drama as we explore the obstacles that so often define our sense of success or failure. In fact, maybe more important than success and failure, we gain from improvising our feelings of ensouled resonance between our inner life and the life created by things around us.